WebAmphibian.Com has amassed experience with a broad range of web technologies. From techniques like web site templating, to web technologies and processes, WebAmphibian.Com has been brought in to assist a number of different companies meet their goals. The Cascading Style Sheet (CSS) for the web site. Taking this approach, only one file has to be modified to provide a completely different "look and feel" for the entire web site while leaving the content and relative page organization of the web site the same. 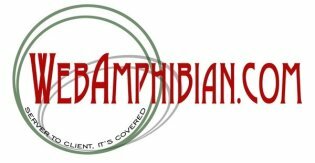 WebAmphibian.Com has been brought in to advise and assist customers in need of the following kinds of services.